We have been really busy since Near field antennas were released. All produced kits have been helping a lot of users to easily diagnose circuits with a very modest investment, and we are receiving very positive feedback from many applications. Thank you everyone for your support! We are happy to release the full set of calibration files and updated datasheet for RF Explorer Near Field Antenna Kit as well as RF Explorer RFEAH-25 antenna. 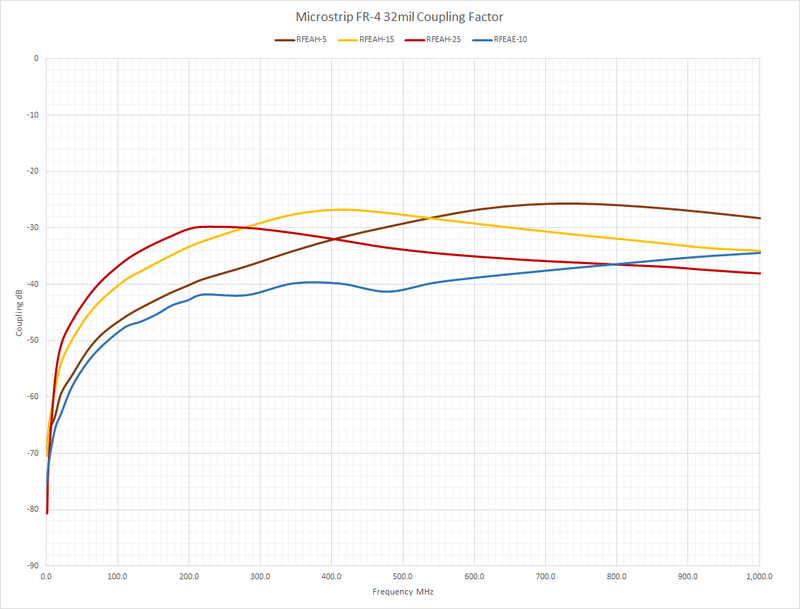 These include now support for 10mil, 20mil, 32mil (0.8mm) and 64mil (1.6mm) FR-4 standard PCB Microstrip traces. There is now plenty of updated information in the datasheet to get the most of your antennas in all possible situations. The additional calibration files can be used in RF Explorer for Windows for automatic amplitude adjustment, please follow described steps in the updated datasheet. These calibration files can be also used with other external tools as they are CSV files easily exported to any format. Please download new contents from our download page. 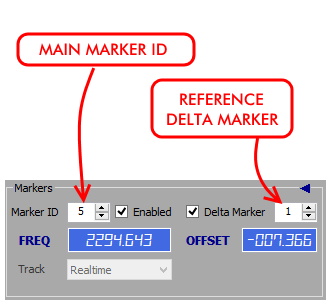 New “Frequency Offset Locked" feature added to Delta Markers - now any Delta marker can dynamically track the Reference marker realtime! Added an option to start RF Explorer for Windows without OpenGL 3D graphics enabled. In some computers, old video drivers or insufficient CPU speed may cause problems. The new shortcut (No OpenGL) will start RF Explorer for Windows without 3D acceleration requirements. The Waterfall screen will not be available in this mode. The Spectrum Analyzer includes a number of improvements in the DSP algorithm, in particular to correctly discriminate spurs coming from LO in multiples of 30MHz. 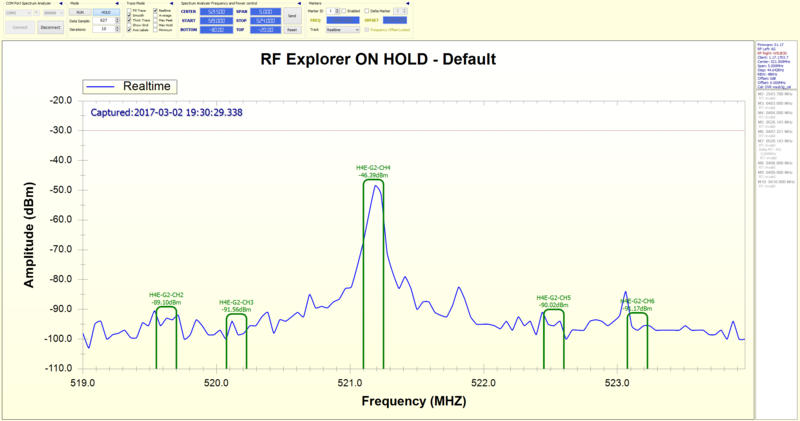 For more details, please check the Release Notes included on RF Explorer for Windows and Firmware upgrade packages. Note: Firmware for Spectrum Analyzer v1.18 is now available. Download these upgrades from our download page, as always, free of charge! We are happy to introduce the new RF Explorer 3G+ IoT modules, with direct support for Arduino and Raspberry Pi platforms. Programmability and network capabilities of the hosting platform enables remote control and diagnosis scenarios, fully automated RF alarm systems, advanced assistance for unattended detection requirements such as those of radio operators, cell towers and HAM stations. These modules are also small and low weight so you can add it onboard on any FPV plane or drone and use to scan the flight area to detect interferers, or measure antenna response. 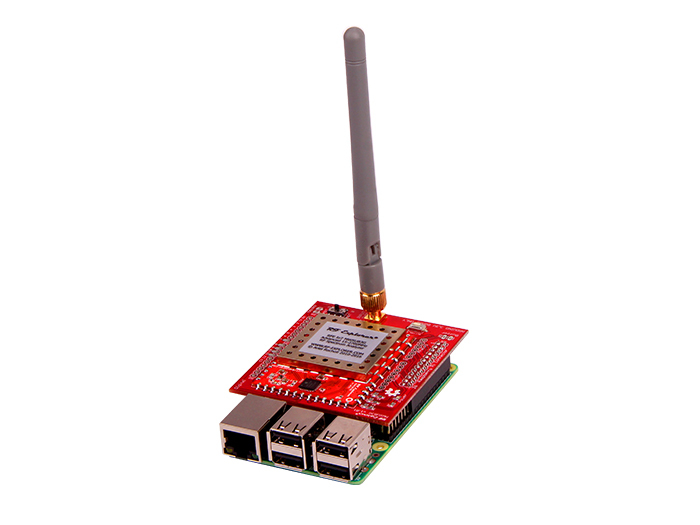 Furthermore, other platforms such as BeagleBoard, Chip, Chipkit, Teensy all them can easily control a RF Explorer 3G+ IoT by manually connecting it to standard UART port. Most of our distributors will eventually have them available. Fix for SNA tracking where sometimes reject first normalization scan with a warning due to low level signal (-80dBm warning). This is now resolved and you should be able to complete your normalization in one single step. These are powerful tools to measure frequency and amplitude difference between two trace points. Usual workflows are Harmonic dBc measurements, relative channel transmission levels, noise figure, etc. In this example above there are 4 markers defined as Delta (M2 to M5) and one Standard marker (M1). Any marker can be defined as delta from other reference markers. To define a Delta marker, first select the main Marker ID you want to define Delta link with. In this example below, Marker ID 5 is the Main marker, and Delta reference is Marker 1. 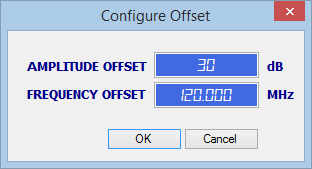 That means frequency offset and amplitude will be calculated on screen as M5-M1. The M5 marker can be defined as an offset frequency from Marker 1 in this example, -7.366MHz. If there are additional traces on screen, such as Average or Max, each one will list its own amplitude delta. 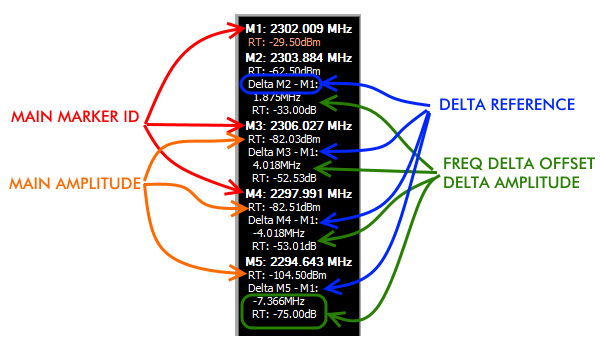 The Markers Display Panel has been updated to highlight in bold the Main Marker ID and current Frequency, and indent standard and delta values for easier visualization. To define a Marker Delta, you first need a standard marker enabled. As an example, enable Marker 1, we will use it as Delta marker later. Define offset in MHz you want Marker 5 to be from Marker 1. For instance, set it to -1Mhz, or 15Mhz, etc. Changing the offset will redefine position for Marker 5 based on current position of Marker 1. Special Marker 1 can be Delta Marker of any other, but it cannot have associated any Delta Marker by Offset. The reason for this is Marker 1 works as auto-peak therefore cannot be defined as reference of any other. Markers defined by Offset use the value at the time of Marker definition, but does not update or keep that offset fixed if the Delta Marker changes frequency. For instance if you define Marker 5 at an offset of 5MHz of Marker 1, and marker 1 is currently at 100MHz, then Marker 5 will be located at 105Mhz. 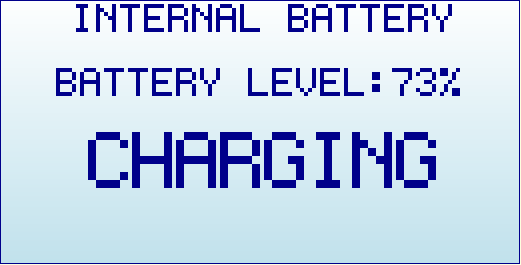 If Marker 1 moves to a different frequency later, Marker 5 will remain at 105Mhz, you can see the current frequency offset any time in the marker display panel. Future upgrades will allow for optional dynamic markers where offset will be locked so Main Marker absolute frequency value can change accordingly to the Delta Marker. 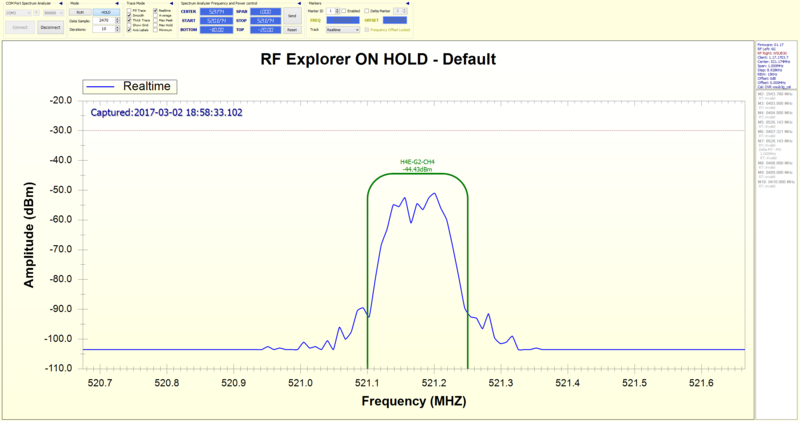 We have been adding more and more specific antennas to our offering over the last few months, in order to help users get the best value from RF Explorer. As you probably know, the right antenna at the right place makes all the difference. Directional, omnidirectional, narrow band, wide band, patch, cloverleaf are available for different frequency ranges at SeeedStudio and other distributors. But all our available antennas so far are used to measure the so called "far field" transmissions. They are fine to measure and diagnose all sort of RF transmissions which are a few wavelengths away. 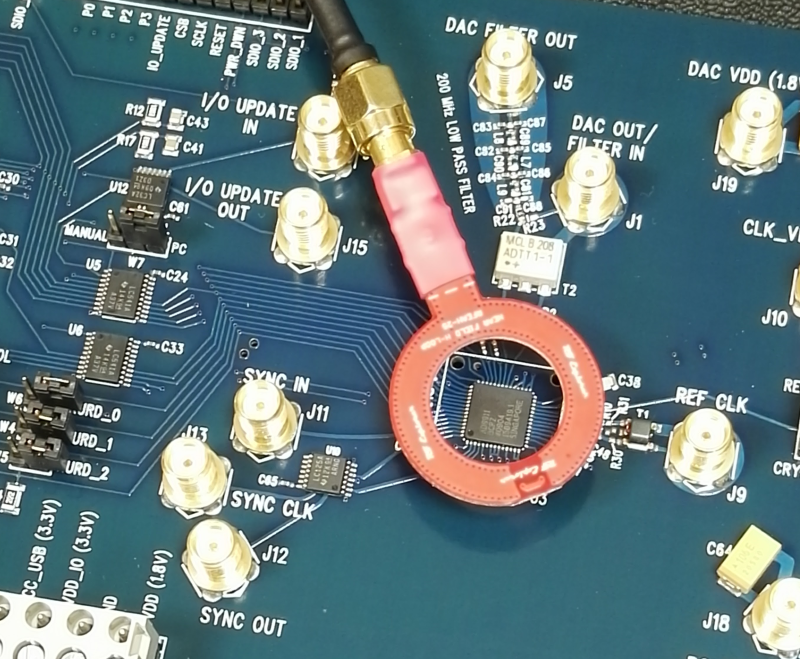 But for a number of tasks, most notably sniffing and measuring components or cables in a PCB or electronic device, far field antennas are not good because lack enough resolution to determine with precision where the transmission comes from. Furthermore, a far field antenna will keep receiving RF radiations from all sort of external, distant sources and mixing the result with the nearby radiation being diagnosed. To assist on that, RF guys use "near field" antennas. They offer way more resolution for close-by diagnosis, and are mostly unaffected by far field transmission. Unfortunately, most near field antennas cost several times more than RF Explorer device itself; They are used for very specific tasks and not sold in the mass market. So most cost-sensitive setups would not have access to near field antenna... or that was the story until now. We are happy to introduce our first custom designed, fully calibrated, near field antenna at the right price. This first model is called RFEAN25 and is a very sensitive, compact and easy to use H-loop near field antenna. We fine-tuned prototypes and experimented ideas for more than 15 months. 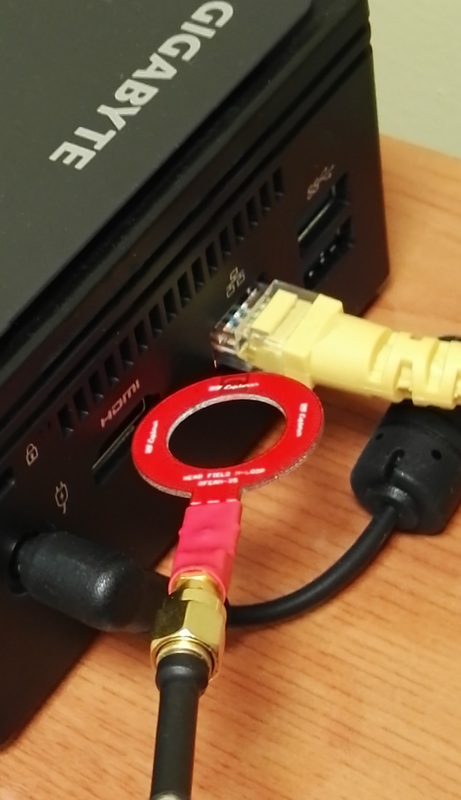 Thanks to this creative design, our lab testing show RFEAN25 is at least 10dB more sensitive in the range 20-6000MHz than other H-loop options in the market, at a much lower cost. If you compare it with other near field competing antennas, you will see RFEAN25 is smaller and lighter, exactly what you need when space is constrained in a PCB. We added a high quality semi-flexible RF cable which works as the handler of the antenna. The big advantage of this approach: you can shape the cable the way you want for the antenna to be located exactly where you need, in most cases with no need to keep it on your hand. 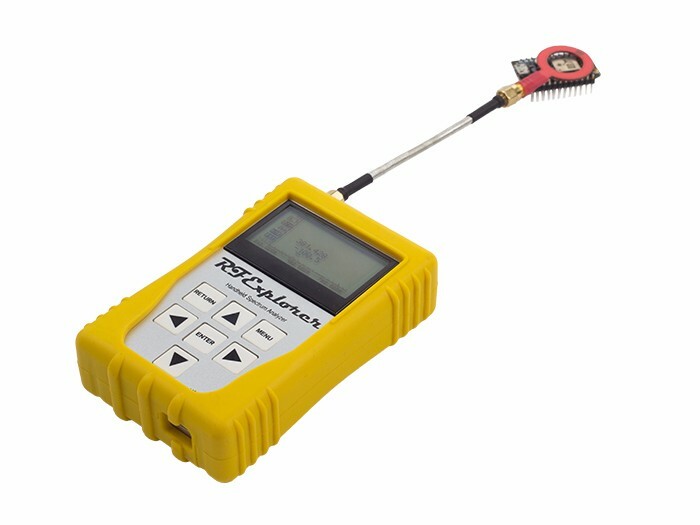 Detect radiation: Easily determine the electronic component or PCB signal track creating a wanted or unwanted RF radiation. 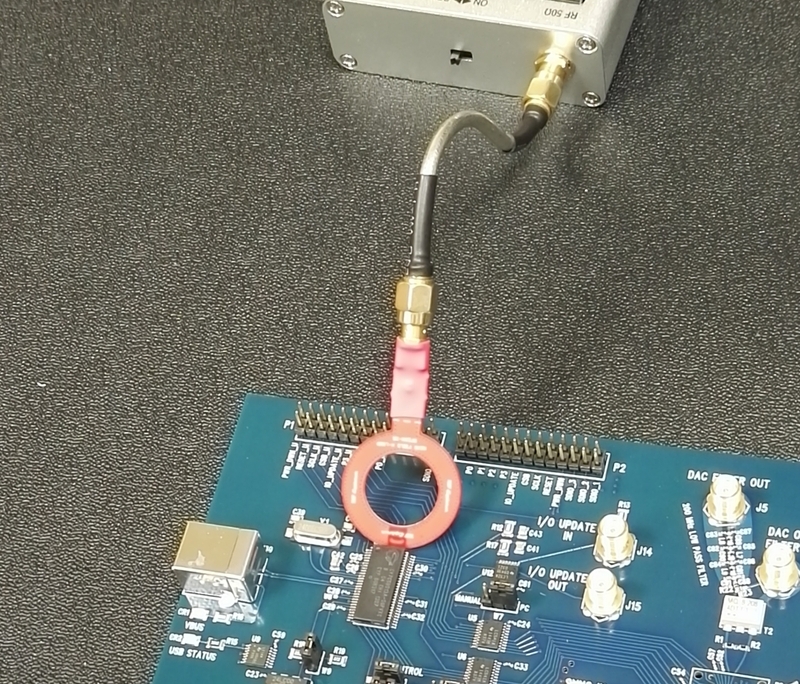 Sniff and measure: Follow signal path in any RF or high speed digital circuit, with no need to actually contact the circuit itself. Find bugs: Thanks to great spatial resolution, it is ideal antenna to check for RF bugs such as hidden cameras or microphones in a room. Pre-compliance EMC testing: Help on finding possible sources of interference in a design before passing an expensive EMC lab test for approval EU / FCC. Create interference: it can be used to introduce RF interference in specific areas of a circuit or device, to check on side effects as well as diagnose root cause of intermittent problems. Connect it to a Signal Generator and use CW or Frequency Sweep to check how your circuit respond. 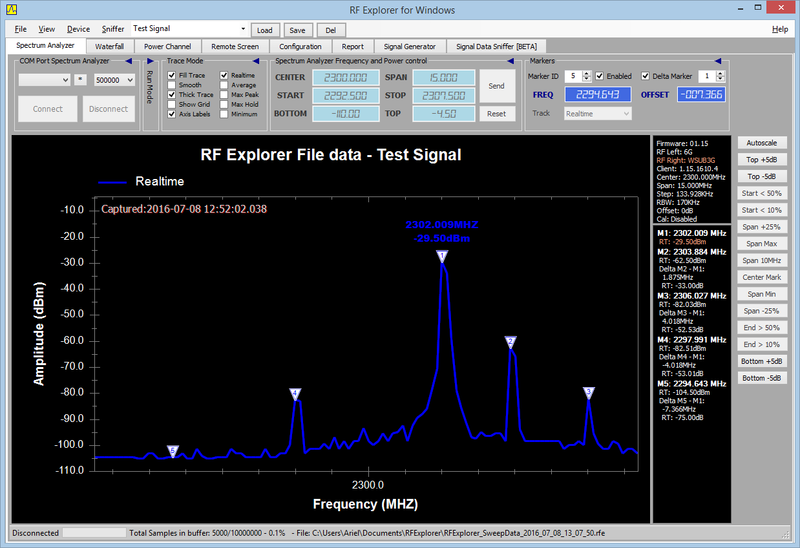 RFEAN25 can be used with RF Explorer Spectrum Analyzer and Signal Generator. But it can be used with any spectrum analyzer brand, as well as oscilloscopes. It is DC decoupled up to 25V so pretty much risk free if makes contact with the PCB circuit under test. The RFEAN25 is available for preorder at 15% discount till mid-October, for only $23. You will not find near field antennas at this price tag anywhere. Use Seeedstudio link here. Other near field antennas will be available later this year, as a full 4-antenna kit with 3 popular H-Loop sizes and one E-Field size. But we will keep RFEAN25 as separated antenna option as this is the best multi-task near field antenna most users need. More demanding users may go to the full antenna kit, it will be available at a very reasonable price tag.